Sony’s refusal to honor backwards compatibility or digital continuity with the PS4 continues to rankle. For a company that started this generation as vehemently anti consumer as Microsoft with the Xbox One, they are sure doing a whole lot of things the right way right now, things that are definitively in the ‘pro customer’ camp. Backwards compatibility is one of them, and that’s what we’re going to be talking about here, even though the feature is definitely not new. Consoles have had backwards compatibility for almost as long as they existed- the Genesis was backwards compatible with the Master System, the PS2 with the original PlayStation, and Nintendo have maintained full backwards compatibility from the GameCube onwards. So the feature’s inclusion on the Xbox One should not be news here. Except that is exactly what it is, because of what context dictates- see, the Xbox One saw Microsoft switch away from the PowerPC hardware setup they used on the Xbox 360 to a more standardized and off-the-shelf x86 setup. The move was a necessary and ultimately appropriate one- PowerPC is a dead end x86 standardizes the Xbox One with the PC, x86 will continue to be developed and iterated on, and x86 will ensure that compatibility across generations is never broken again. Unfortunately, x86 is also incompatible with PowerPC, meaning that the vast library of great games that the Xbox 360 amassed is suddenly unplayable on the new system. Players who had invested hundreds, if not thousands, of dollars into the Xbox ecosystem suddenly found themselves broken off from all of that investment, from all their games. It was unfortunate, but it was also non negotiable- PowerPC and x86 are inherently incompatible, and the move to x86 was the right decision for the long run, after all. The break in compatibility with Xbox 360 was just something that customers would need to abide by, it seemed like. "The fact that backwards compatibility exists on Xbox One, and that it is as extensive as it is, is already a big deal." Except Microsoft, doubtless desperate to reach out to their most loyal fans who had made the Xbox 360 so successful, and who were now probably contemplating a PS4 purchase after how terribly the Xbox One launched, decided to work around that. They created an emulator to fix up a backwards compatibility solution for the Xbox One- and it works! 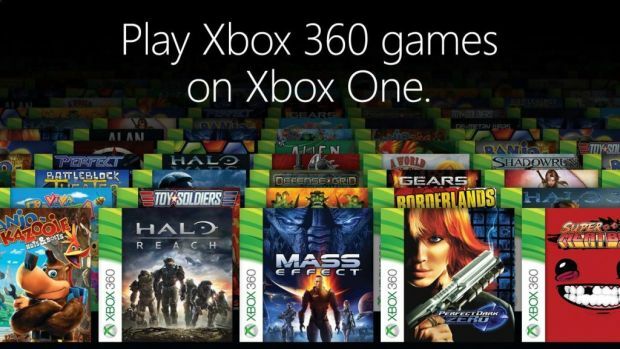 Less than a year after the feature originally launched, over 200 Xbox 360 games are now playable on the Xbox One, with more games added to the list of compatible ones every month. The fact that backwards compatibility exists on Xbox One, and that it is as extensive as it is, is already a big deal- but the truly admirable part of this entire development has been the policy side of things. Microsoft do not charge users any money to access the backwards compatibility feature. Microsoft requires a developer or a publisher of a game to do nothing to enable it to be compatible on the Xbox One, except for giving consent. If an Xbox 360 game is whitelisted on the Xbox One, and if the user owns that game already, then they don’t have to pay again for that game in any capacity to play it on the Xbox One. Both, disc and digital versions are supported. Full functionality is retained, and in a lot of cases, playing the games on the Xbox One even enhances the experience. Microsoft have even used the feature to enhance their services, such as Xbox Live Games with Gold. Contrast this with the PS4- Sony don’t offer any backwards compatibility with the PS3 (which is acceptable, given how hard it would be to emulate the PS3’s Cell with the amount of hardware resources the PS4 has on hand), or PS2, or PS1, or any of the PlayStation handhelds. This, in spite of the fact that the PS4 has more than enough grunt to emulate those systems. Sony do sell enhanced PS2 games on the PSN Store, but these are sold for $10-$15, and require a customer to purchase them to play the even if that customer had already previously bought those games on disc, or on digitally- Sony don’t even allow for a cheap ‘upgrade’ option like Nintendo does with the Virtual Console games on Wii U. Basically, it doesn’t matter if you spent $50 on Grand Theft Auto San Andreas on the PS2, and then another $15 on the PS3- you need to spend $15 again if you want to play it on the PS4. "It doesn’t matter if you spent $50 on Grand Theft Auto San Andreas on the PS2, and then another $15 on the PS3- you need to spend $15 again if you want to play it on the PS4." Sony also offer PS Now, which is a streaming service for PS3 games. This also does not honor any previously made purchases, relies on a subscription model, usually leads to degraded quality for games that you are playing, and requires you to always be online if you want to play a game- in other words, it’s a suspicious lot like the very policies that sent Microsoft and the Xbox One into the doghouse before that console ever even got to launch. The contrast in the policies towards honoring previous purchases between Sony and Microsoft is thrown into sharp relief now that Red Dead Redemption is finally playable on the Xbox One too. There are several things here that need to be considered: Red Dead Redemption has been the most demanded game on the service ever since Microsoft announced the initiative at E3 last year; Red Dead Redemption was one of the most popular, most beloved games of the previous generation; Red Dead Redemption manages to run even better on the Xbox One than it did on the Xbox 360 (and it already ran far better on the Xbox 360 than it did on the PS3); Red Dead Redemption was a game that a lot of players wanted to be able to play on their Xbox, and now they got the chance, and they took it, so much so that sales for the game actually saw a dramatic rise once it was confirmed to be getting whitelisted for Xbox One backwards compatibility. It may be just one game, and a very old game, a six year old game, but it serves to illustrate a very important point- a game that everyone wanted to play, on a service that everyone appreciates, on a service that mandates no effort or cost from either developers or consumers, leading to renewed interest and sales for that game… it was a win all around, for Rockstar, who saw renewed interest in the game, for customers, who got to play the game on their current Xbox console, and for Microsoft, for whom this was a much needed PR win. The only company that is staying away from all of this are Sony, who, by still not offering a proper backwards compatible/digital continuity solution with their older systems, are looking uncharacteristically anti consumer now when it comes to this one thing. 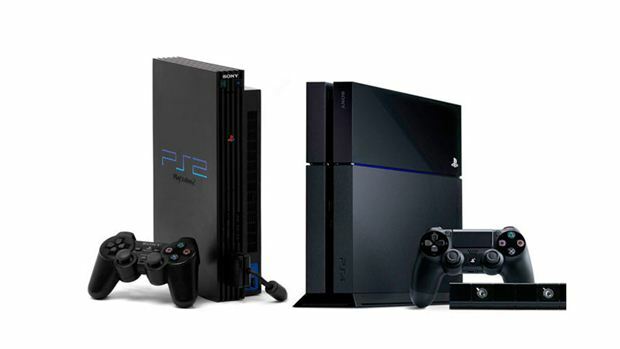 I am sure that going forward, Sony will be able to provide full backwards compatibility with PS4 in their future consoles- after all, that’s one of the benefits of the x86 architecture, that they also switched to this generation. However, given that the company seems to be more interested in selling remasters for a price than in letting users play games they have already paid for, there is one part of me that remains cynical.